Innovation in the Army needs to come from the top down and the ground up, and Soldiers at all levels need freedom, time and equipment to make it happen. Maintaining overmatch against any and all potential adversaries—known as an offset strategy—places a premium on new, potentially disruptive technologies. However, technology alone will not maintain the offset. An effective and enduring offset will require a culture of innovation that enables critical thinking and the application of the myriad emerging military and commercial technologies to address the full spectrum of national security challenges that exist in an increasingly hostile and complex world. In these times, the Army has an opportunity to look to Silicon Valley—where startups vie for position in a do-or-die environment—not just for emerging technologies, but for the organizational culture of innovation that allows entrepreneurs to flourish and ideas to become realities. Innovation is a critical component of the offset strategy, but the word is used so often today that it risks losing meaning. 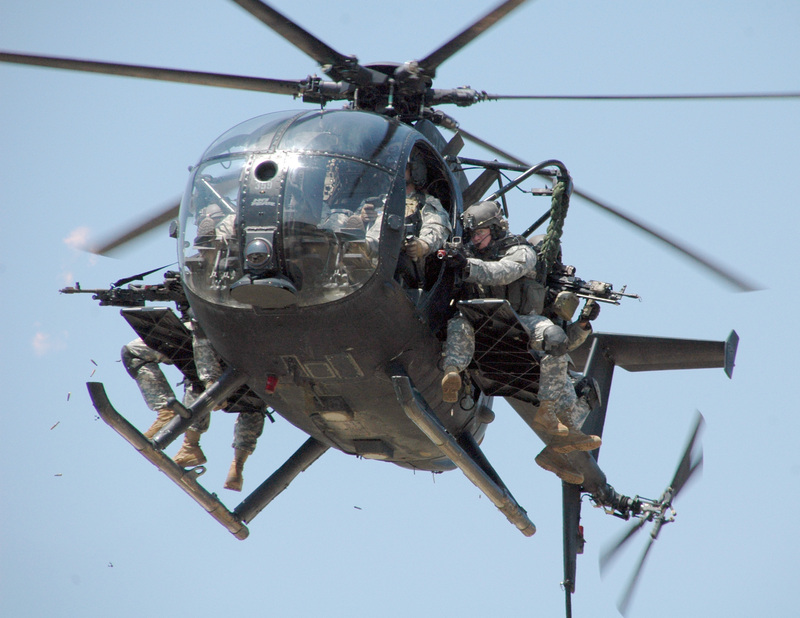 The U.S. Army Operating Concept, published by the U.S. Army Training and Doctrine Command (TRADOC), defines innovation as “the result of critical and creative thinking” and “the conversion of new ideas into valued outcomes.” Innovation can be incremental and continuous, as an adaptation of an existing idea or technology; or it can be, as serial entrepreneur Steve Blank labeled it, disruptive in a way that turns the status quo on its head and creates a new paradigm in a market or field of study. 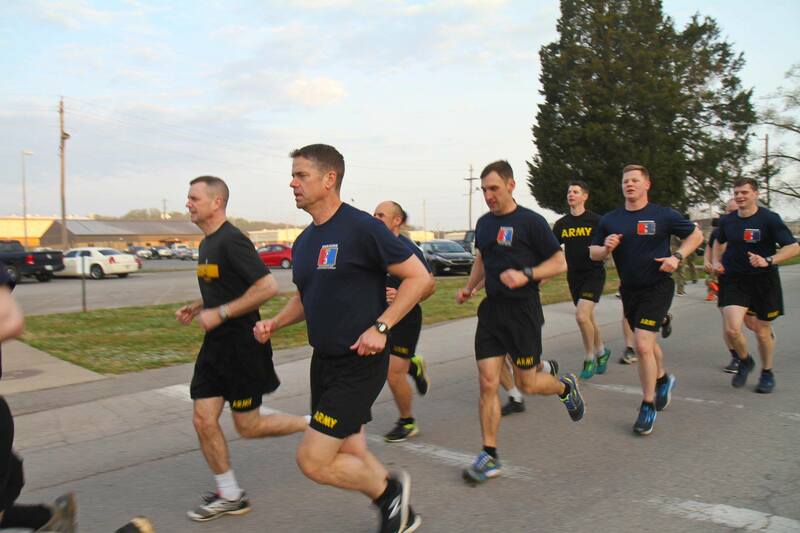 Col. John Cogbill conducts physical training with Brig. Gen. K. Todd Royar, the 101st Airborne Division Deputy Commanding General, Support, and officers of the 3rd Brigade Combat Team. (U.S. Army Photo by Staff Sgt. Cody Harding). Although the Army previously had creative leaders or episodic moments of tactical, operational or strategic brilliance, it will not be able to bring those discrete moments of creative genius to scale in a way that will allow the Army to guarantee U.S. competitive advantage on future battlefields unless it can address the obstacles that inhibit a culture of innovation. Just as the Army Operating Concept addresses strategic, operational and tactical levels of war, so, too, must the models for creating a culture of innovation in the Army. The Army is not a monolithic institution, and a standardized solution to organizational culture challenges will not work. Different models for cultural change exist for organizations of varying size, specialization and scope. 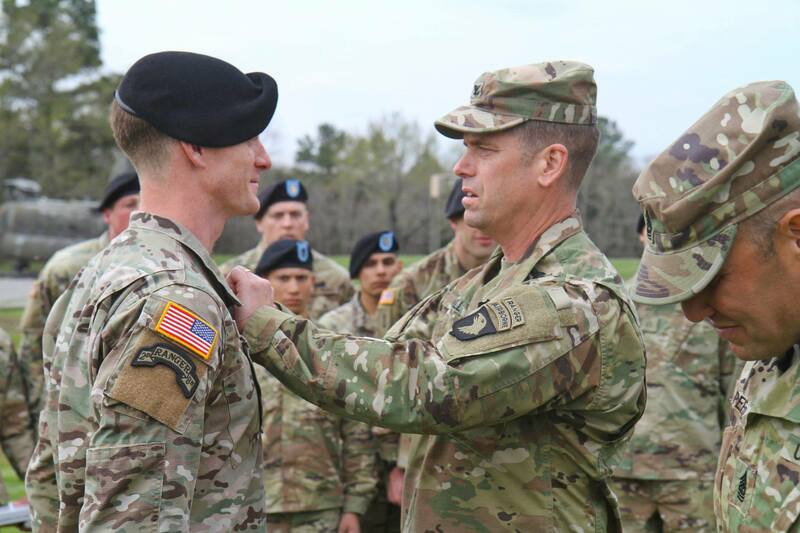 Col. John Cogbill pins the coveted Air Assault Badge on Capt. John Bergman, from 1st Battalion, 187th Infantry Regiment. Capt. John Bergman was the Honor Graduate and Ruck March Champion of his Air Assault School Class, on Fort Campbell, KY. (U.S. Army Photo by Staff Sgt. Cody Harding – taken April 10, 2018). In many organizations, change starts at the top. It most certainly cannot survive without the promotion, and protection, of top management. At the strategic level, the Army can set the tone and create conditions to inspire innovation throughout the rest of the organization. That said, senior Army leaders must avoid efforts to control the pace or direction of innovation within this complex and uncertain operating environment. Just as governments have learned the power of Adam Smith’s “invisible hand” in coordinating economic activity in free markets and the perils of command-and-control economies, the Army should take a similar approach in creating conditions for innovation by allowing individuals to maximize their utility, or that of their teams, by having the freedom to make decisions in a market that is both informed and unrestrained. To successfully use this enabler model, senior management must clearly state the corporate entrepreneurial objective. As stated in the Army Operating Concept, the objective for the Army is to create a culture of innovation that “drives the development of new tools or methods that permit Army forces to anticipate future demands, stay ahead of determined enemies, and accomplish the mission.” With that objective in mind, the Army must capitalize on innovative initiatives within subordinate units and reinforce success until innovative excellence becomes a hallmark throughout the Army at all levels. Incentivize. During the past decade, there has been a modest increase in the number of thought-provoking and creativity-inspiring broadening opportunities within institutional (non-U.S. Army Forces Command (FORSCOM)) Army organizations. However, these opportunities are often not pursued by the Army’s top performers because of the high opportunity costs associated with time away from “muddy boots” assignments. According to the “Fashion Tips for the Field Grade” study by Dr. Leonard Wong of the U.S. Army War College Strategic Studies Institute, the percentage of officers selected for brigadier general who had also attended full-time graduate school dropped from 31 percent in 1995 to 8 percent in 2005. Until education and broadening assignments demonstrate real and visible advantages for career progression, and are valued as reinforcing or supplementing time spent in tactical units, the Army will have a hard time attracting the most talented service members to these programs. Educate. TRADOC can advance an entrepreneurial culture by adding Lean Startup techniques and Army Design Methodology—an effort focused on improving the critical and creative thinking abilities of leaders and teams to understand and solve problems—to the current professional military education curriculum for all ranks. Internalizing these techniques helps minimize the need for bureaucratic controls, destroy barriers between compartmented hierarchies, and connect senior managers with consumers and customers to accurately identify problems and rapidly develop innovative solutions through an iterative process of experimentation and validated learning. This foundational education should be coupled with a purposeful increase in opportunities for Advanced Civil Schooling and Training with Industry for officers and noncommissioned officers (NCOs), to maximize the military’s exposure to a diversity of ideas while simultaneously increasing opportunities to better connect society to an all-volunteer Army that’s increasingly isolated from it. To permanently affect the Army culture, the same educational opportunities and training events must be afforded to the Army civilian workforce, those long-term civil servants who provide continuity, institutional memory—and sometimes inertia—within the institutional Army. Proliferate. TRADOC must create a digital forum to share ideas among communities of interest, to create synergistic effects between Soldiers, units and installations and to eliminate redundancy of effort. TRADOC has created military “wiki-like” websites to increase shared consciousness through online Army Warfighting Challenges discussion groups. However, most Soldiers outside TRADOC do not know these sites exist and will never access these forums. Idea-sharing portals must become marketplaces for ideas, reinforced with senior leader participation, that showcase innovative solutions to capability shortfalls. Creating cultural change at the operational level requires a slightly different approach. 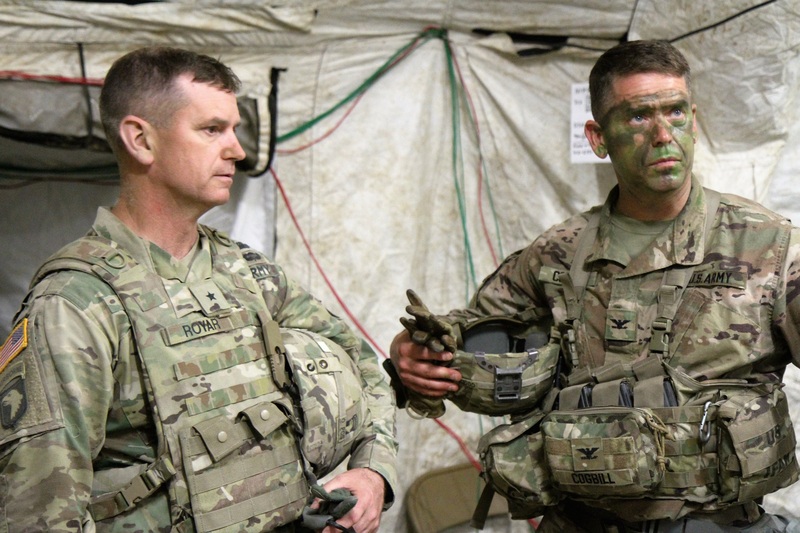 Brigades, divisions and corps serve as the hierarchical connection between strategic guidance and the day-to-day business of manning, equipping and training tactical units. As the name implies, leaders at this level are intensely focused on operational matters and do not have the luxury of focusing exclusively on innovation, nor can they create new organizations or funding sources to pursue internal innovation initiatives. In his book “Accelerate: Building Strategic Agility for a Faster-Moving World,” author John P. Kotter advocates for a dual-operating system comprising diffuse networks working in a symbiotic relationship with the traditional management hierarchies. These networks are staffed with volunteers from existing business divisions (the Army equivalents to battalions, brigades and divisions), and are charged with finding innovative solutions to the organization’s most challenging problems. This approach allows traditional hierarchy elements to remain unencumbered in managing routine operations in the most efficient manner. These ad hoc, agile networks are grass-roots movements, manned with true believers rallying around a guiding coalition that has articulated a sense of urgency, actively seeking innovative opportunities—even while circumventing institutional barriers—to achieve quick wins. The deliberate accumulation of these victories eventually builds momentum toward the long-term innovation objective and leads to the desired institutional change without undermining or threatening management hierarchies. Resource. A common complaint among Soldiers and leaders is the tyranny of the training schedule. Acknowledging the importance of setting aside time to think, Google implemented a policy that encourages employees to spend 20 percent of their time at work on a personal project about which they feel passionate. This protected time has led the company toward new technologies and new markets that the senior managers would have never anticipated. The Army should adopt a similar approach. “Thinking Thursdays” would be the new take on “Sergeant’s Time,” providing small unit leaders the flexibility to work on their most important problems or develop solutions to battalion, brigade or division priorities. The opportunity to prototype and experiment should be further developed by setting aside resources for this purpose. Brigades might establish collaboration spaces, complete with dry erase boards, post-it notes, movable furniture, computer workstations and basic prototyping materials, to encourage teams to experiment and display ideas and innovations. Installations could build fabrication laboratories, including 3D printers and basic machining equipment, where Soldiers might build more advanced prototypes to take to the field to test. Challenge. Division commanders should challenge units to enter their most innovative ideas in installation-level competitions (or hackathons) to crowdsource ideas and develop rapid prototypes to solve challenging problems. Winners of corps-level innovation challenges could present their ideas during quarterly competitive symposiums involving entrepreneurs and academics from surrounding communities. This interaction would give credibility to the process, raise industry awareness of important DOD problems, and give Soldiers valuable experience communicating their ideas and skill sets to civilians who might later be future employers. Experiment. 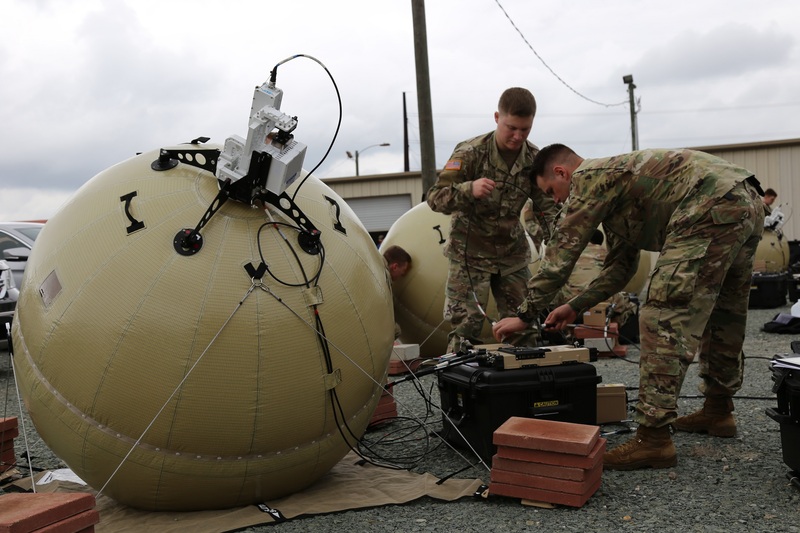 The Army can increase its capacity for testing and experimentation by welcoming (or directing) new experiments by FORSCOM units at the battalion or brigade level. TRADOC should leverage the agility of brigade combat teams and divisions, incorporating them into the experimentation enterprise. This expansion would drastically increase the Army’s experimentation capacity and have the added benefit of making operational headquarters the champions of the new capabilities instead of program managers and requirements writers. Using FORSCOM units to experiment, instead of TRADOC units whose sole purpose is conducting testing and experimentation, will result in better user feedback because the interests of the unit are more aligned with the programs or concepts being tested. Reward. Innovation is primarily a human endeavor. Leaders, especially at the operational level, must reward innovation in their formations. Commanders can offer coins, certificates, time off based on performance, or public recognition in formations to Soldiers who make meaningful contributions during “Thinking Thursdays” and competitive innovation challenges. Soldiers who see the fruits of their labor will recognize the importance of contributing to the innovation process and be more likely to proactively participate in the process. Col. John Cogbill and Jeff Monken, the coach of the Army ‘Black Knights’ football team, talk with Rakkasan leaders at the BUSHIDO training event about leadership, teamwork, and winning in the face of adversity. 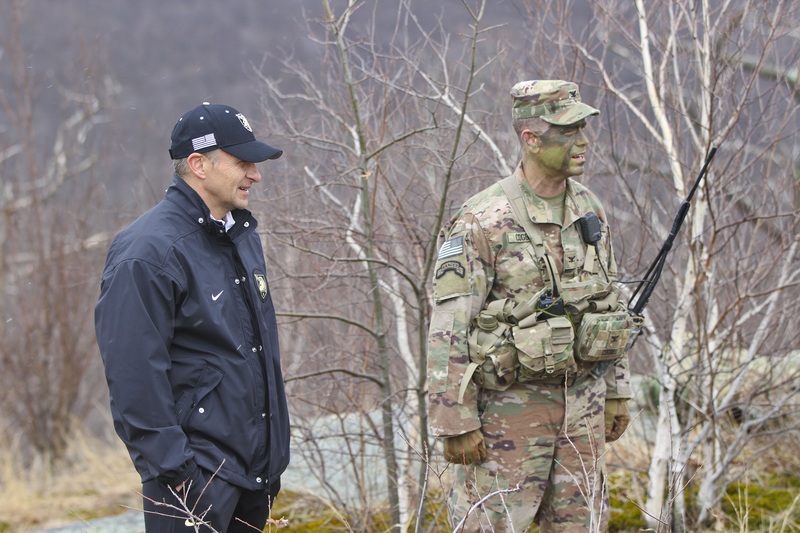 The BUSHIDO training event was conducted at Camp Buckner and the United States Military Academy at West Point, NY, and served as an innovative training exercise to build readiness and resilience throughout all of 3rd BCT’s Command Teams. (U.S. Army Photo by Staff Sgt. Cody Harding – taken on April 17, 2018). Creating a culture of innovation must also happen at the tactical level. Innovation is not the exclusive purview of general staffs or the Army’s officer corps. Too often, the Army isolates creativity and deep thinking exclusively to senior officers. To harness the entirety of its corporate intellect, the Army must exploit the inherent creativity and ingenuity inside tactical formations. The small teams within the Army (squads, platoons and companies) most closely resemble, in size and demographics, many early-stage ventures in Silicon Valley—startups that are raising billions of dollars in venture capital every day because of their disruptively innovative solutions to some of society’s most pressing problems. Empowering squads, platoons and companies with Lean Startup methodologies for prototyping new equipment or reimagining small unit training will vastly increase the number of ideas generated and concepts validated, or dismissed, at the lowest echelons, with successful approaches gradually making their way through the Army’s middle management and up to senior decision-makers and resources. Identify. To identify appropriate talent to support innovation, the Army must be more scientific in its approach. Commanders could administer simple personality tests to see which Soldiers, NCOs and officers most strongly demonstrate characteristics of creativity and collaboration. These Soldiers might volunteer or be handpicked to compete in unit hackathons or work on specific projects as a special duty assignment or additional duty. These innovative Soldiers are likely the best candidates for advanced educational opportunities. Focus. While the future of warfare is unknowable, creative leaders can use multiple media sources, such as forward-looking movies or books like “Starship Troopers,” “Ender’s Game” and “Ghost Fleet” to help Soldiers visualize the nature of, and their potential roles in, future warfare. Military professionals have consistently advocated the study of military history as essential to building learning organizations. Looking to the future is equally important to help Soldiers conceptualize future threats and potential problems that can be addressed with innovative solutions. Train. Education and inspiration alone will not win wars. The Army must continually train Soldiers so that the ability to solve complex problems and take necessary action in combat becomes second nature. Broader implementation of the Asymmetric Warfare Group’s Adaptive Soldier Leader Training Education at the tactical level can reinforce classroom instruction with hands-on training and practical examples of adaptive thinking and problem-solving from academia and industry. Col. John Cogbill (right) and Brig. Gen. K. Todd Royar, the 101st Airborne Division Deputy Commanding General, Support, discuss 3BCT training inside the 3BCT Tactical Operations Center (TOC). The TOC is the location where the 3BCT Headquarters and Staff conduct battle tracking and mission planning when deployed during training events and tactical operations. (U.S. Army Photo by Staff Sgt. Cody Harding – taken May 10, 2018). The character of warfare has never been more complex, more unpredictable or more influenced by the exponentially increasing velocity of technological change or the diffusion of dual-use technologies and asymmetric adaptations to U.S. military superiority. While the stakes are too high for DOD to outsource innovation to the dreamers and engineers in Silicon Valley, it can import the Silicon Valley culture of innovation. To create a culture of innovation and ensure success on future battlefields, the Army must change from within at every echelon to remain agile, forward-thinking and prepared to overwhelm the capabilities of peer and near-pear competitors in the future. By teaching Lean Startup techniques and identifying and rewarding innovative thinkers and actors across the force, the Army can exploit their efforts in creative ways to visualize and participate in innovation initiatives. Agile and adaptive leaders have shouldered the responsibility of maintaining the U.S. Army as the most powerful and capable land force in modern times, but it will require a culture of innovation guided by an invisible hand—a hand that is creative, meritocratic, tolerant of risk and inclusive—to guarantee success in future wars. This article is condensed from a paper written by the author in 2016, while he was a U.S. Army War College Fellow at Stanford University’s Freeman Spogli Institute in the Center for International Security and Cooperation. To read the full paper, and to access multiple online extras, go to the online version of this magazine at http://usaasc.armyalt.com/#folio=1. COL. JOHN P. COGBILL is commander of the 3rd Brigade Combat Team, 101st Airborne Division at Fort Campbell, Kentucky. He was a U.S. Army War College Fellow at Stanford University, and holds a Master of Public Administration from Harvard University and a B.S. in environmental science from the United States Military Academy at West Point.